The most challenging aspect of being a fashion designer is that your designs and fabrics always have to be classy and elegant. You also have to keep up with trends in the fashion industry and this can be a bit tough. The most challenging aspect of being a fashion designer is that your designs and fabrics always have to be classy and elegant. You also have to keep up with trends in the fashion industry and this can be a bit tough. With all the pressures of just being creative and stylish, you need a Point of sale that will be simple and take the stress out of running your store as well. It would help sort out all your fashion items, daily, weekly and monthly. Your designs/clothes/outfits need to be organised to ensure smooth running of your business and an easy to use tool such as PrognoStore would help you do that. With all that being pointed out, here are 3 major reasons why as Fashion designers, PrognoStore is needed in your business. PrognoStore makes selling worth it: As a designer, your main aim is to sell your clothes to customers who love them. Our software helps with that. You sell your the clothes or dresses by simply scanning the barcodes (this is what helps give unique identifiers to each of your clothes); PrognoStore can also automatically generate barcodes for you, which means that all you have to do is print your barcodes and paste them on the outfits you have available or by searching for the names of the designs you have given them. You can actually add the customer's name to the sale. This is after you must have added their details to the system or you can add the name at the point of sale. You can even print the receipt or email it to them. This ensures that both you and your customers have a record of the sale. PrognoStore allows tracking of sales, including which employee or salesperson sold what. Now you see why selling with Prognostore is really worth it. 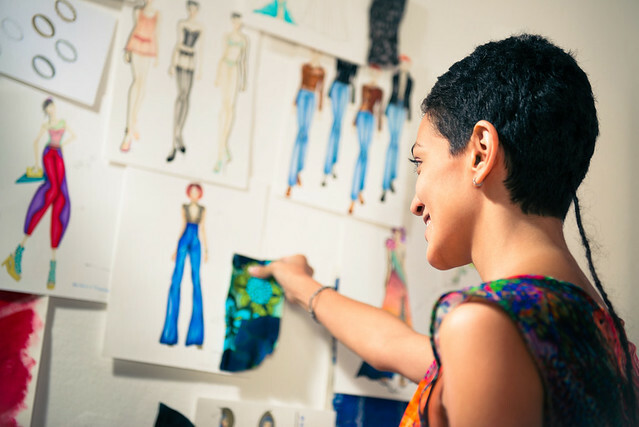 Prognostore helps with Customer Management: As a Fashion Designer, you should already know the importance of having to keep in touch with your customers. This is because if your designs are good, they would keep coming for more so it is very necessary to keep a record of all the customers, especially your very loyal ones. It means you don’t need to keep requesting for their details every time they want a new design made and you can always contact them when you have new designs. Having a proper record of your customers is essential for running the business efficiently and for growth. Every new customer is entered into the system; name, address, email, phone number, dress size and so on, this ensures you can offer that personalized sales touch for your customers. Record all inventory in one go: If you already have a lot of designs made, you can simply upload them in one go without having to add them individually. You simply download a template that would help you input all your inventory at a go. You can find out more about how to do that here. What better way to do this if not with PrognoStore? It has been designed for fashion designers as we have monitored the challenges involved in running a fashion business and have developed PrognoStore to become the best 3-in-1 cloud based solution that consists of Point of sale, Inventory and Analytics; Prognostore is the best point of sale software for fashion designers around the world. You should join the league of our many users by signing up on www.prognostore.com/signup to enjoy 2 weeks free trial period! Now that you have gotten this far, wouldn’t you rather get started with PrognoStore? It’s all you need to run your small business.